Welch Services Group were proud to be part of Carnival Cruise Lines’ most ambitious refit and transformation project ever, Carnival Destiny will undergo a $155 million makeover next year that will incorporate all of the line’s “Fun Ship 2.0” dining, bar and entertainment features, as well as a variety of exciting innovations unique to this vessel. 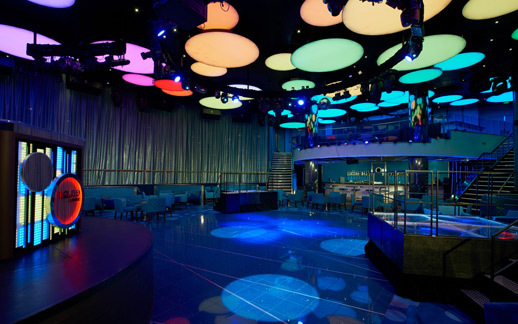 Welch Services Group designed and manufactured the lighting in the Show lounge consisting of 105 colour changing lighting discs with Barrisol Stretch Ceiling fabric. The lighting was manufactured and tested in Cheshire and then shipped to Trieste Italy. The lighting was controlled using Cue Server Pro’s rack mounted in the show directors suite.